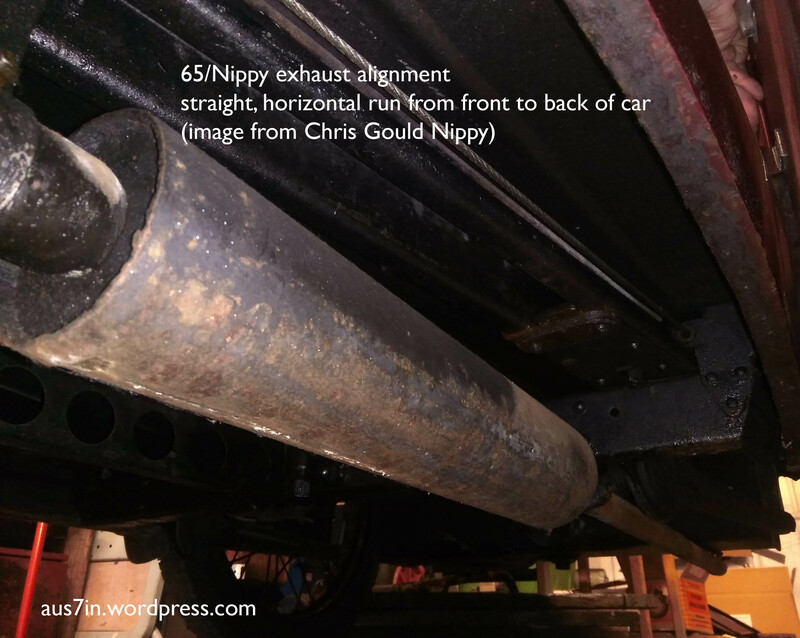 The 1933 road test car photo is a good example for the alignment of the Nippy exhaust, coming below the radius arm and then running straight to the back of the car. 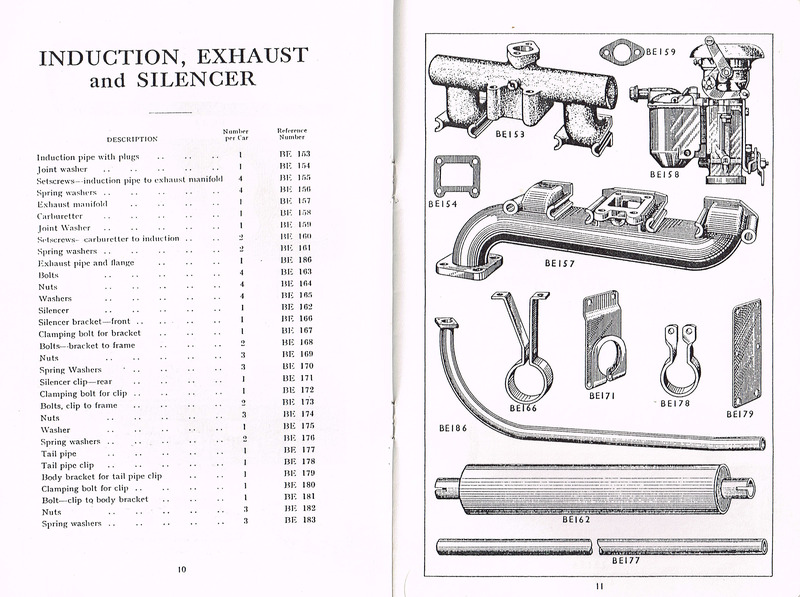 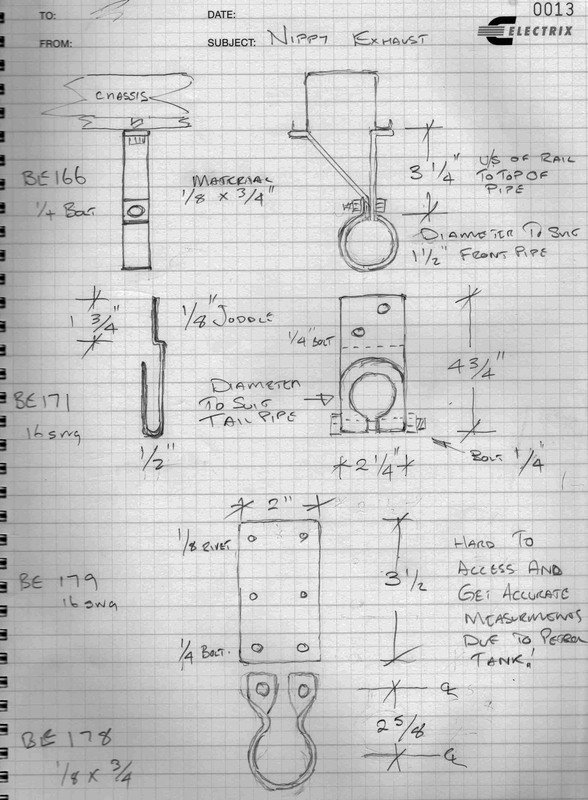 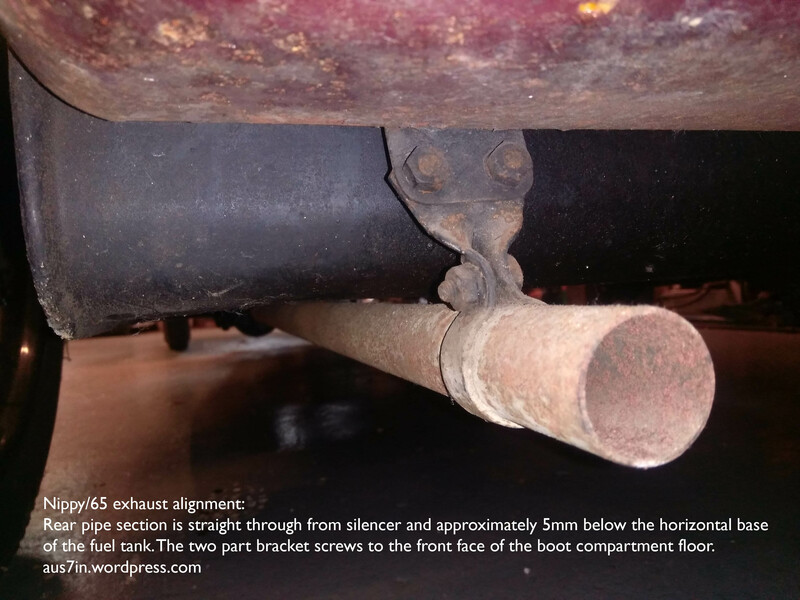 Chris Gould’s book details the dimensions of the silencer and brackets. 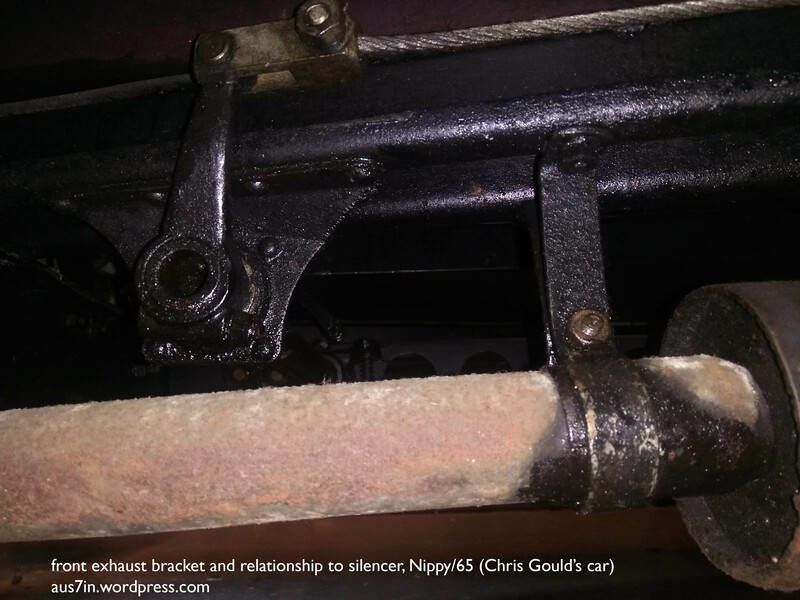 Having access to his own car enabled some photographs which better show how it all fits. 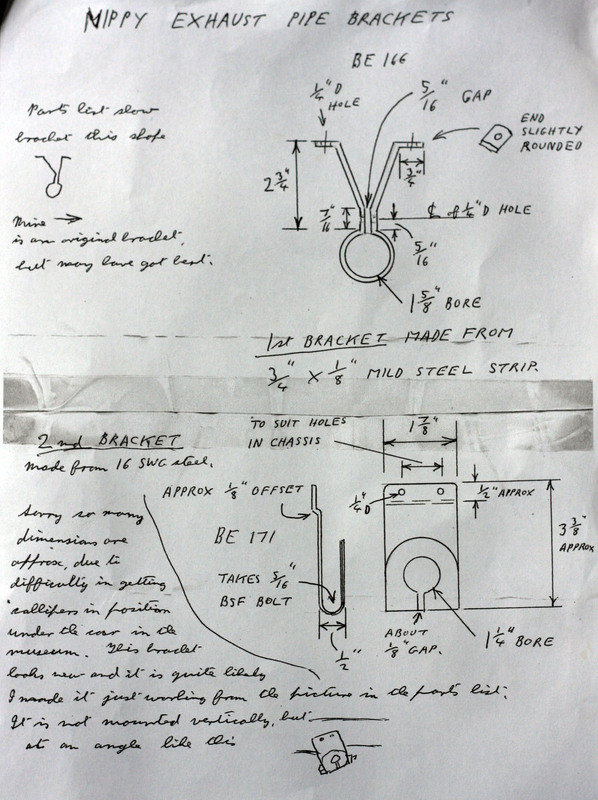 Click on images for full screen enlargement.